According to research presented at the American Stroke Association’s International Stroke Conference 2018,Combining drugs that lower BP and cholesterol reduces first-time strokes by 44 percent.Stroke is fifth leading cause of death in America and Hypertension and Dyslipidemia both increase the risk for stroke. Seventy-five percent of strokes are first-time strokes and it’s not known whether combining drugs that lower blood pressure and cholesterol levels can protect individuals from stroke. Now, a study involving 12,705 participants from 21 countries shows that individually, drugs that lower blood pressure or cholesterol do indeed reduce stroke risk, but when combined, they offer even greater protection. Taking daily doses of two blood pressure drugs (fixed dose candesartan and hydrochlorothiazide) along with a cholesterol-lowering drug (low-dose rosuvastatin), proved to be the most effective, cutting first-time strokes by 44 percent among patients at intermediate risk for heart disease. For those with very high blood pressure — readings 143.5 mm Hg or higher — taking 16 milligrams of candesartan plus 12.5 milligrams of hydrochlorothiazide every day reduced stroke by 42 percent. Compared with a placebo, stroke was reduced by 30 percent among participants taking daily doses of 10 milligrams of rosuvastatin. The findings come from the Heart Outcomes Prevention Evaluation Study, a large, international study focused on heart disease and stroke prevention. The average age of the participants was 66 years; 46 percent were women, and 166 strokes occurred during an average follow-up of 5.6 years. At the start of the study, the average blood pressure was 138/82 mm Hg. 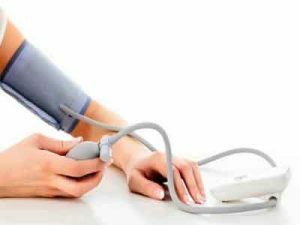 A normal blood pressure reading is around 120/80 mm Hg. Based on these findings, Bosch said researchers are now looking at developing a single pill that produces the same effects as taking multiple pills that lower both blood pressure and cholesterol.